Travel Design has the role of managing your destination, but thats not why our destination management company in Marrakech is different. We focus on being the leading company by offering the very best for all of our costumers. Travel design singled out the leading companies in logistics, hotels and venue providers in order to fulfil all of your event needs and to help you have a remarkable event that will forever be memorable to your guests and give out a positive message in the most luxurious way possible. And we rely on that to define ‘different’ as special and unique. Striving for the best, our destination management company in Marrakech provides all of its clients with a wide variety of superior offers and prestigious venues, having your event in one of the most gorgeous and historically renowned cities in the world is without any doubt a brilliant objective. The prestigious halls and Moroccan cuisine do indeed add an additional luxurious and ‘tasty’ advantage to your event. 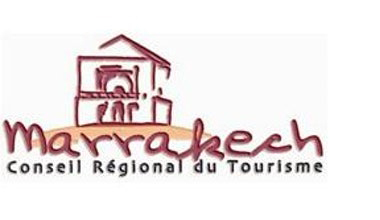 Our destination management company in Marrakech provides different suggestions and proposals for you to choose from, whether you’re having a conference, a convention or you would like to host an event for a personal cause our destination management company will provide you with everything that would be of use to your event. Having a themed event in Marrakech is also a wonderful idea as the options are various and our ideas are countless. Before starting out our business we gathered enough data and information on the field and with the leadership of an experienced entrepreneur our destination management company in Marrakech is determined on staying top tier and never disappointing our clients.